Visual Studio Code>Programming Languages>VSCode React Native Component GeneratorNew to Visual Studio Code? Get it now. "New React Native Container Component"
"New React Native Stateless Component"
"New React Native Container Component with Redux"
"New React Native Stateless Component with Redux"
Enter a component name in the pop up in camelCase or PascalCase. If you enter the component name as in camelCase, then extension will convert it PascalCase automatically. "double" - e.g. 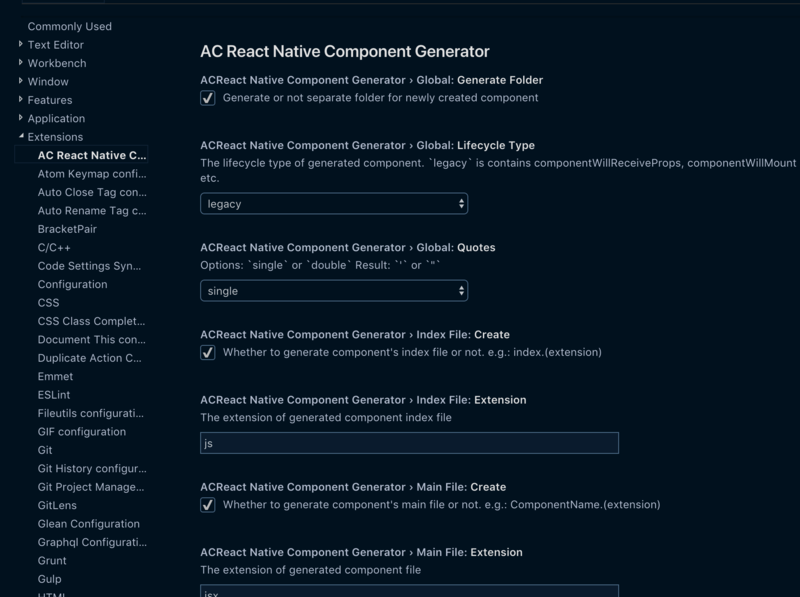 : import React from "react"
Whether to generate component's index file or not. Whether to generate component's main file or not. Whether to generate component's stylesheet file or not.